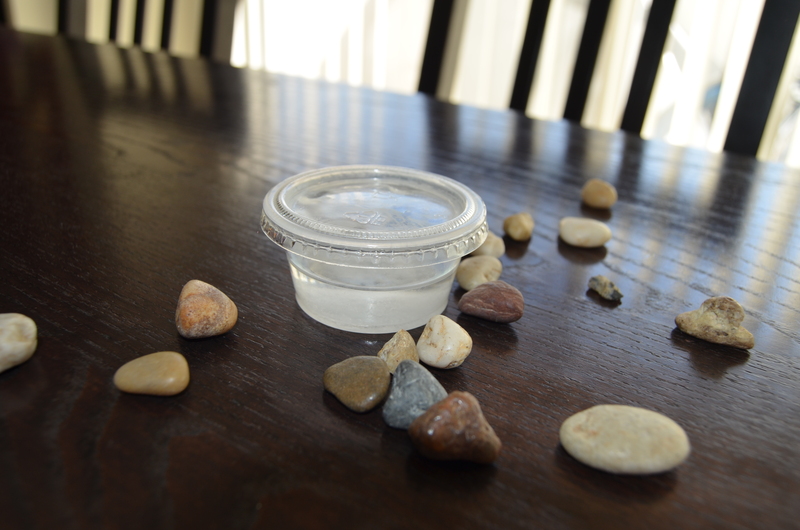 My New Favorite, Natural Eye Makeup Remover – Coconut Oil! This new use for coconut oil was such an incredible discovery for me – it makes for the perfect eye makeup remover! It’s an all natural, organic product that is very gentle and good for your skin. No need to spend $$$ on your makeup remover, when you can use this inexpensive product. The coconut oil does a great job breaking down hard to remove makeup, even waterproof. 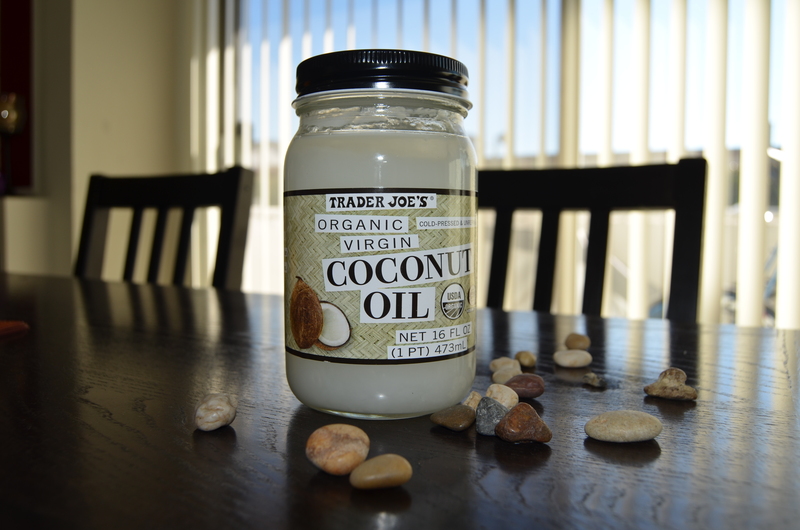 I personally like this coconut oil variety from Trader Joe’s as it’s only $5.99 for a 16oz jar. I actually keep this in my shower, so I ended up scooping a smaller portion out and placing in a small container (pictured below). Since the small container stays warm from the shower, it dissolves into liquid form. Scoop a dollop out of the container with clean, dry hands – it will naturally start to melt in your fingers with your body temperature. You can also use a clean, dry cotton pad if you’re using coconut oil in liquid form. Gently rub the oil onto your eye area, dissolving all of your makeup. Take a look at your raccoon eyes staring back at you! Gently rinse off and wipe clean with a facial cloth. It couldn’t be easier! You can use whatever coconut oil variety your prefer. The great thing about using coconut oil is that you can also cook with it! You can use this to remove face makeup as well, but I prefer to using a cleansing oil for that. I’m currently using The Body Shop’s Chamomile Silky Cleansing Oil. This product works great for breaking down foundation and powder, but not so well for eye makeup. I know – I actually used it at a friend’s house, and I’ve been hooked ever since! It does an amazing job!